Alexis M Jensen, owner of Jensen & Company, has been assisting clients with accounting and tax services for over 30 years. Her loyal client base in the South Bay was built on strong relationships, integrity, and her firm’s practice of providing quality professional services delivered with personal attention and care. Her career experiences have ranged from partnerships in boutique accounting firms in the South Bay and Westside to Vice-Presidency at Zdonek & Wolowicz Accountancy Corp. in Torrance. Alexis attributes much of her business success to referrals from a satisfied client base. Her firm’s knowledge, expertise and experience are well suited to support the very diverse businesses that make up the Southern California economy, as well as for the needs of individuals and families. Jensen & Company’s philosophy and values echoes Alexis’ beliefs in making it a priority to listen to her clients, understanding their goals, issues, concerns and needs, and working with them to achieve peace of mind by providing them with the necessary consulting services and/or accounting and tax services. 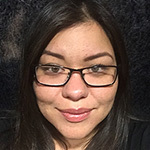 Alexis has a Bachelor’s Degree in accounting from California State University, Long Beach. 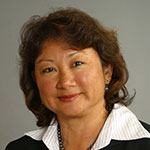 A resident of the South Bay for over 30 years, she is happily married with three children. Born and raised in Chile by a Tahitian/Chinese father and Chilean mother, Alexis is fully bilingual in English and Spanish. Finding an ideal fit, Bud merged his practice with Jensen & Co. on January 1, 2017, becoming a principal with the Firm. He has been in public accounting for over 40 years helping clients with their accounting, financial statements, and tax needs. Bud provides services to JENSEN & CO.’s clients that include the coordination and review of corporate, partnership, and individual income tax returns, and the communication of tax planning wisdom to client management. He also advises clients about their financial statement needs in a number of diversified industries including real estate, entertainment, wholesale, and distribution. He strives to give individuals and small to medium-sized businesses access to affordable, professional accounting services. Bud has a BBA degree from the University of Cincinnati and did his post graduate work in accounting at Duquesne University. He is originally from Pittsburgh, Pennsylvania, where he began his accounting career by working for the national accounting firm of Deloitte & Touche for several years. 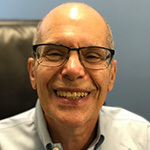 Bud transferred to the Los Angeles office of Deloitte & Touche in 1981, then worked at Singer, Lewak, Greenbaum & Goldstein, a medium sized, Los Angeles public accounting firm before starting his own accounting practice in 1988 in West Los Angeles. He is a long-time South Bay resident and has practiced in Torrance since 1999. His client base, while centered in the South Bay, includes Los Angeles and Orange County. Bud is an active member of Town Hall Los Angeles, the Private Companies Practice Section of the America Institute of CPAs, and the California Society of CPAs. Tim is a Certified QuickBooks Online ProAdvisor. He instructs clients on sales and expense tracking, invoicing, payroll, planning, and projections, while providing full bookkeeping/accounting services and reporting. 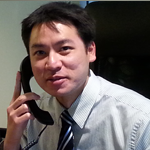 Tim is California CPA; he is a graduate of the University of California, San Diego with a Bachelors in Economics. Upon his graduation, Tim spent a year helping with his family business, fully experiencing the passion, hard work, and challenges of the small business owner. Quickly he witnessed hands on how compliance and strategies can be the keys to an individual’s, family’s or business’ future, and how more businesses could truly succeed if they employ the proper trusted business advisor. Tim obtained the rank of Eagle Scout at an early age and is a long term South Bay resident. His passions include reading, playing tennis, and listening to music, and is looking forward to expanding his travel experience as a means to a greater understanding of the diversity and resilience of the human spirit and perspective. Tim continues to enjoy improving on his conversational Chinese. Laura started her career with Jensen & Company in 2015 as a staff accountant. She assists in the preparation of business and individual tax preparations, and provides accounting and bookkeeping services to small to mid-size business in a variety of industries including; restaurants, services industries, retail, real estate, non-for profit, and trusts and estates. Laura is currently in the process of obtaining her CPA designation. She is a graduate of Cal State University of Dominguez Hills with a Bachelor’s Degree in Business with an emphasis in accounting. She has several years of experience working in the accounting field as an internal auditor. Laura helps her community by volunteering in programs like VITA which helps provide free tax services to low-income families. Laura was born and raised in East Los Angeles by her Mexican American parents and is fully bilingual in English and Spanish. Her other interests include outdoor activities such as hiking, running, kayaking, swimming, and has recently started to train to participate in her first triathlon. She also has a passion for music and loves meeting new people to help open her mind to the world.